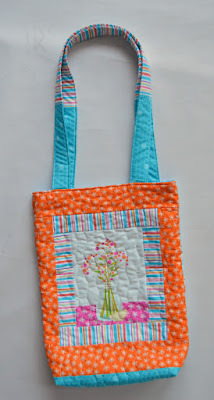 We're back with a third idea for using Cherry Guidry's Front Porch panel--a summer tote! We've used the five different fussy-cut panel pieces to create the bag front and back, as well as an inside pocket. 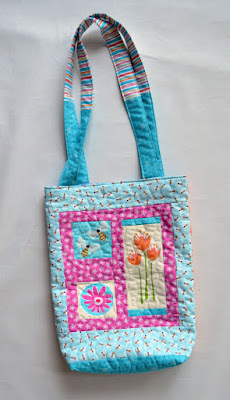 Follow the tutorial below to make your own version--perfect for holding your towel, flip flops, and a great beach read. 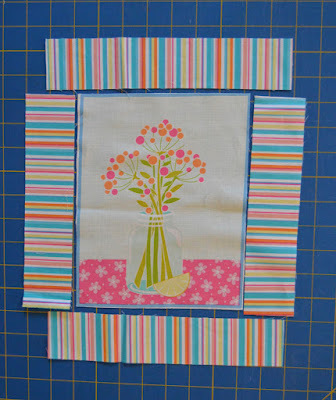 Step 1: Sew 2" x 9" stripe pieces to opposite sides of the 7" x 9" vase block. Tip: Sew with the block on top to ensure that your stitch line is inside the outer line of the block. Sew 2" x 10" stripe pieces to the top and bottom. 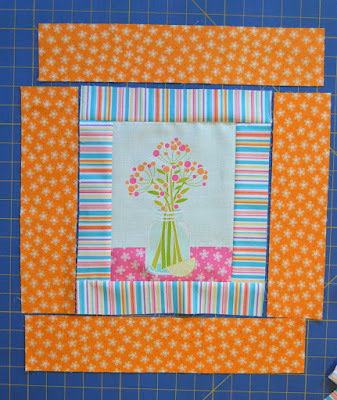 Step 2: Sew 3" x 10" orange floral pieces to the sides of the block. Sew the 3" x 15" orange floral pieces to the top and bottom. 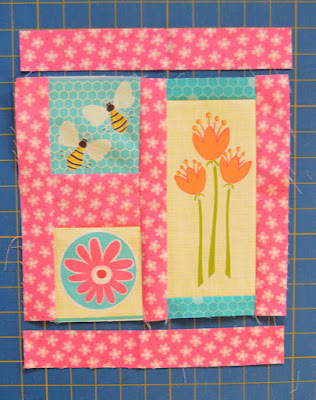 Step 3: Referring to the photo below, sew (1) 2-1/2" x 4" pink floral piece between (2) 4" panel blocks. 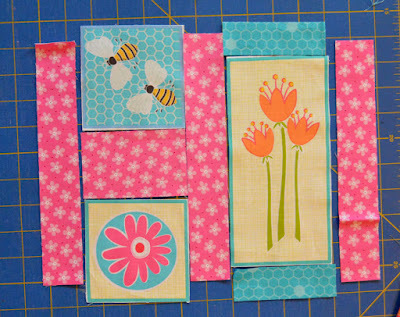 Sew 1" x 4" turquoise honeycomb pieces to the to and bottom of the 4" x 8" panel block. 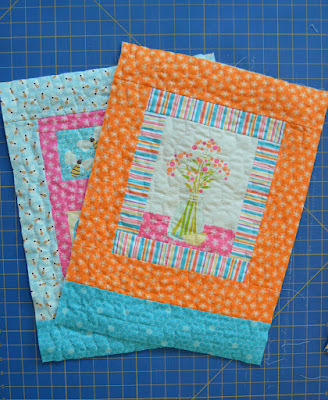 Sew these to piece units together alternating with (3) 1-1/2" x 9-1/2" pink floral pieces. 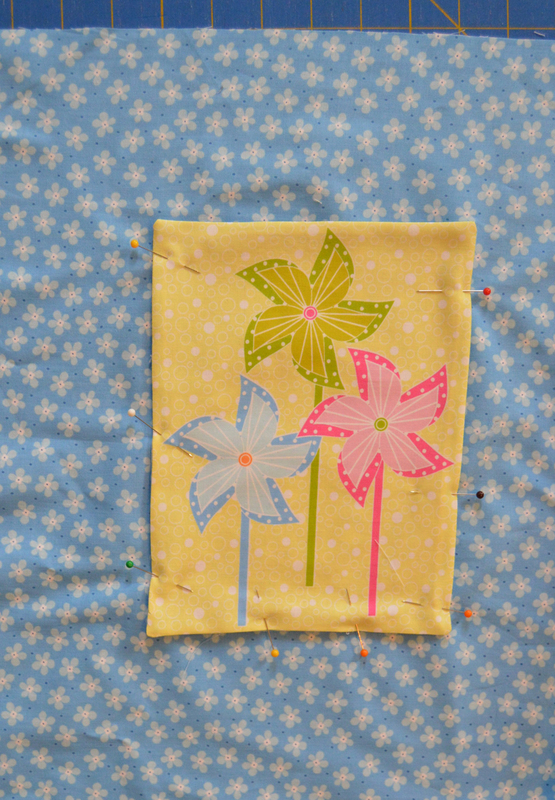 Step 4: Sew 1-1/2" x 11-1/2" pink floral pieces to the top and bottom. 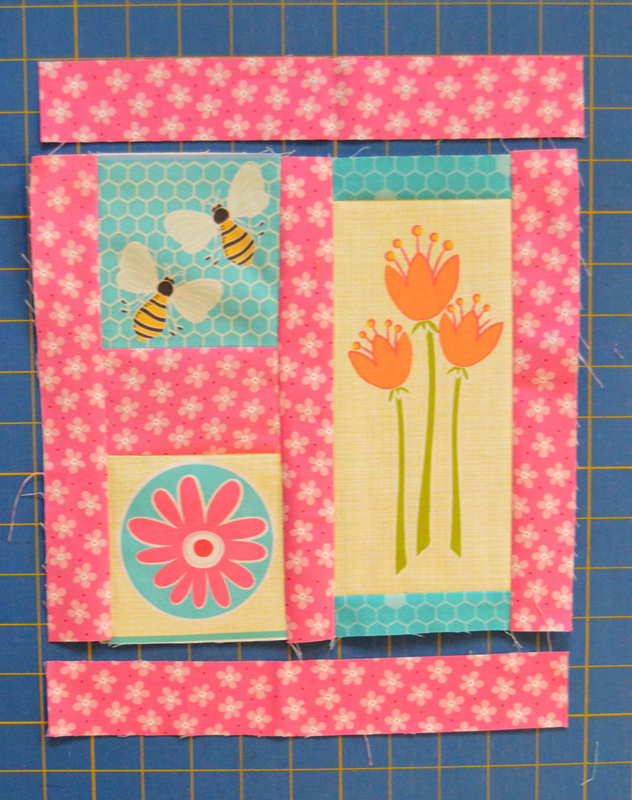 Step 5: Sew 2-3/4" x 11-1/2" bee print pieces to the sides of the pieced panel unit. 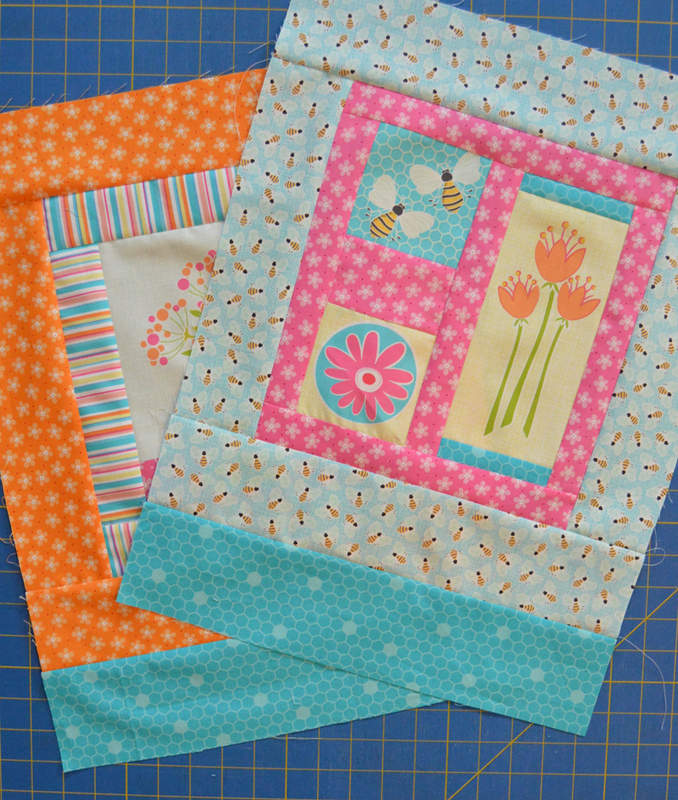 Sew 3-1/4" x 15" bee print pieces to the top and bottom. Step 6: Sew (1) 3-1/2" x 15" turquoise honeycomb pieces to the bottom of both pieced bag sides. Step 7: Baste each 17" x 20" bag side to an 18" x 21" batting piece and quilt as desired. 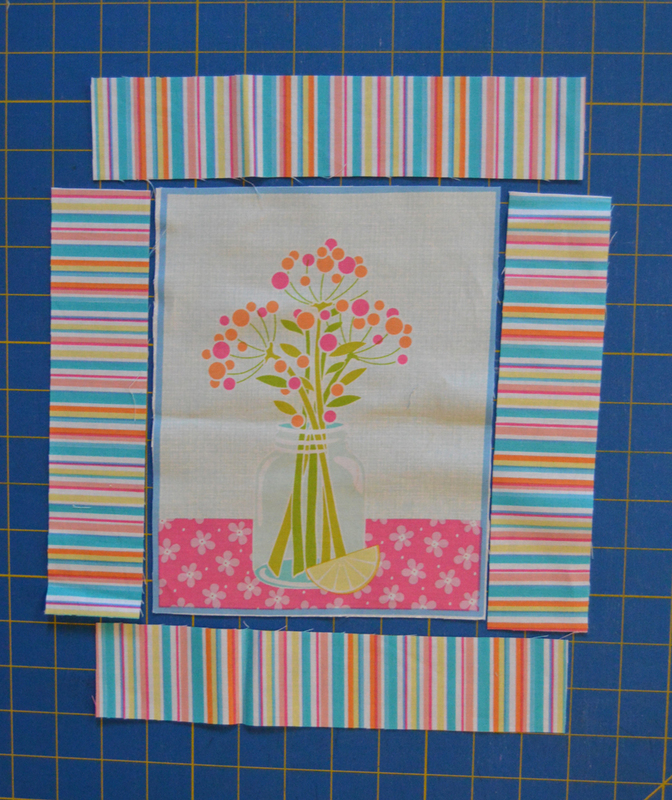 Trim to measure 16" x 19". 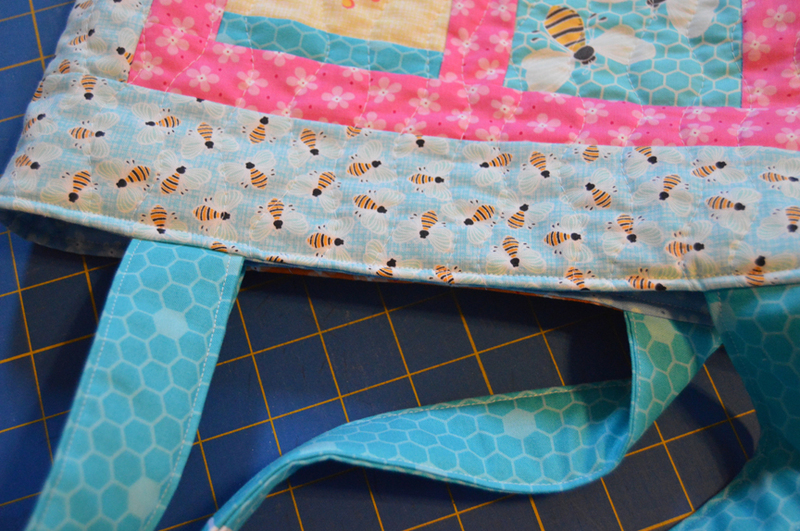 Step 8: Layer the quilted bag pieces right sides together and pin, matching raw edges. 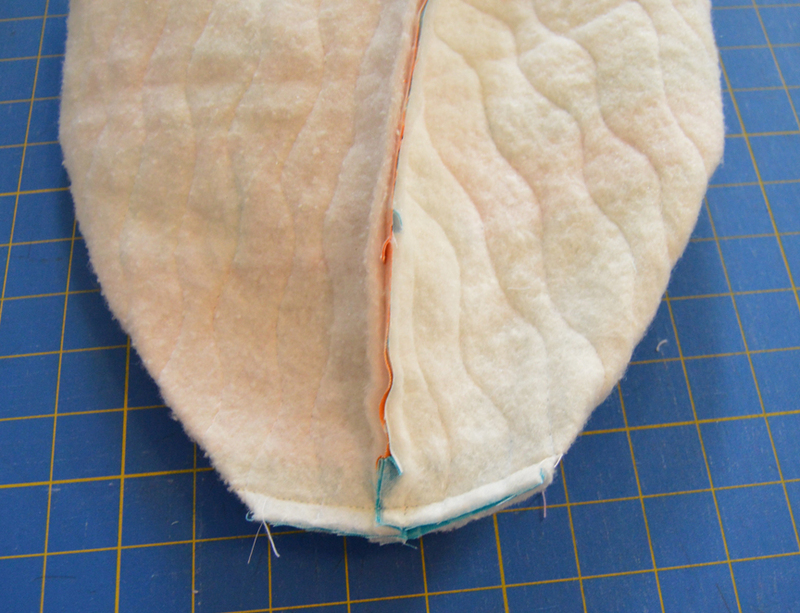 Sew along both sides and the bottom edge, using a 1/4" seam allowance. 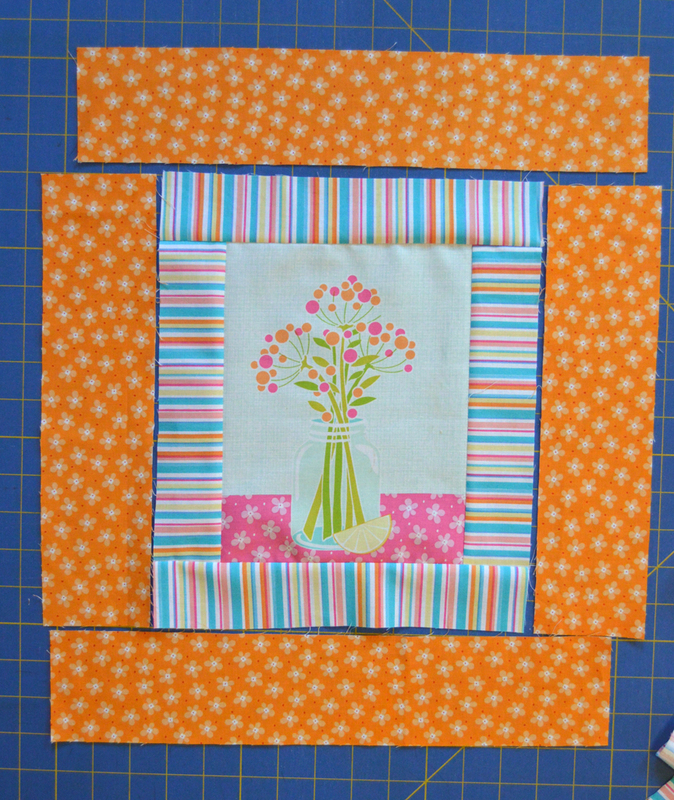 Cut 2" squares out from the bottom corners as shown. 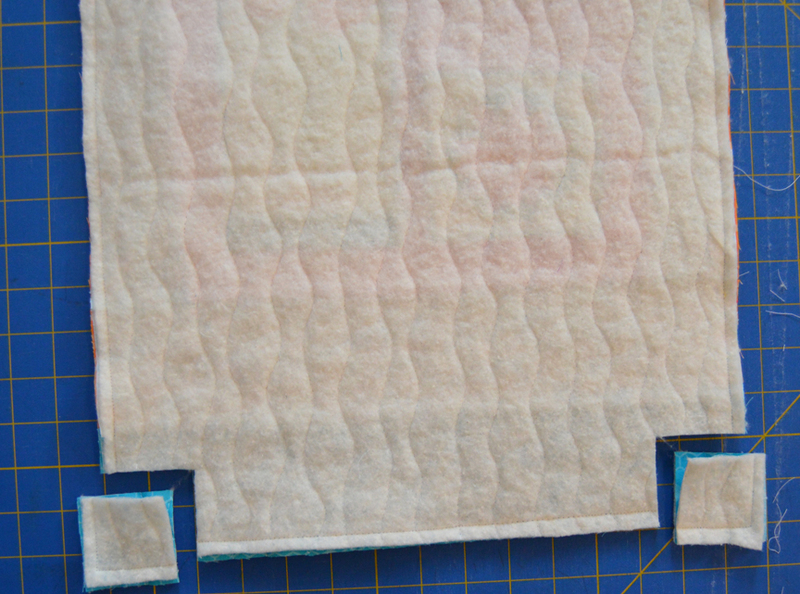 Step 9: Pinch a cut corner so the bottom and side seams match and stitch to box the corner. Repeat on the opposite end. Step 10: To make the inner pocket, place the 7" x 9" panel block right sides together with the 7" x 9" blue floral piece. Stitch around all sides, leaving an opening along the bottom for turning. Clip corners and turn right side out, poking corners as needed. Step 11: Press the open edges in. Position the pocket on (1) 16" x 19" blue floral piece, centering from left to right and measuring 3-1/2" from the top edge. Pin in place and topstitch along the sides and bottom. 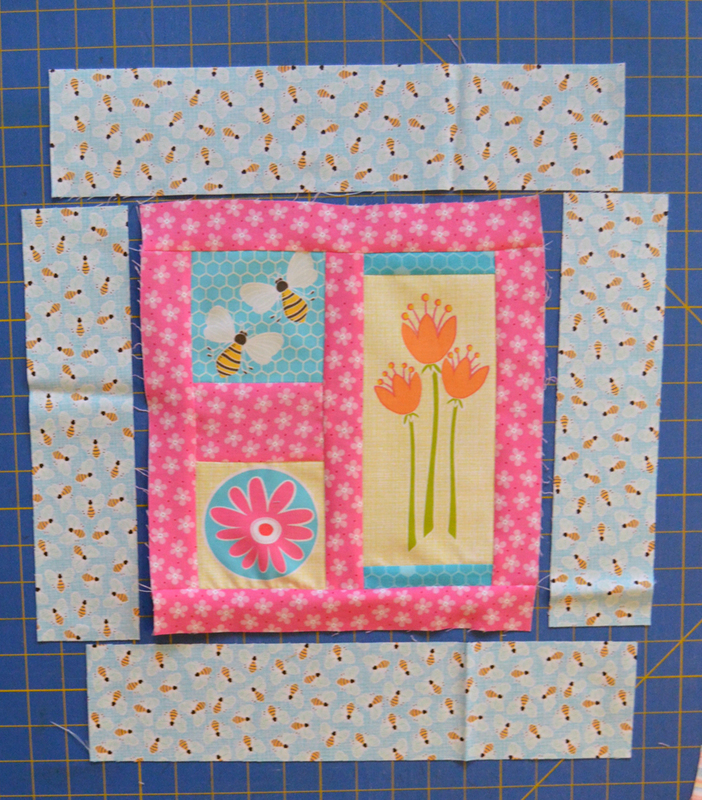 Stitching along the bottom will close the opening from turning. Step 12: Layer the (2) 16" x 19" blue floral pieces right sides together and stitch along both sides and the bottom, leaving an 8" opening for turning. 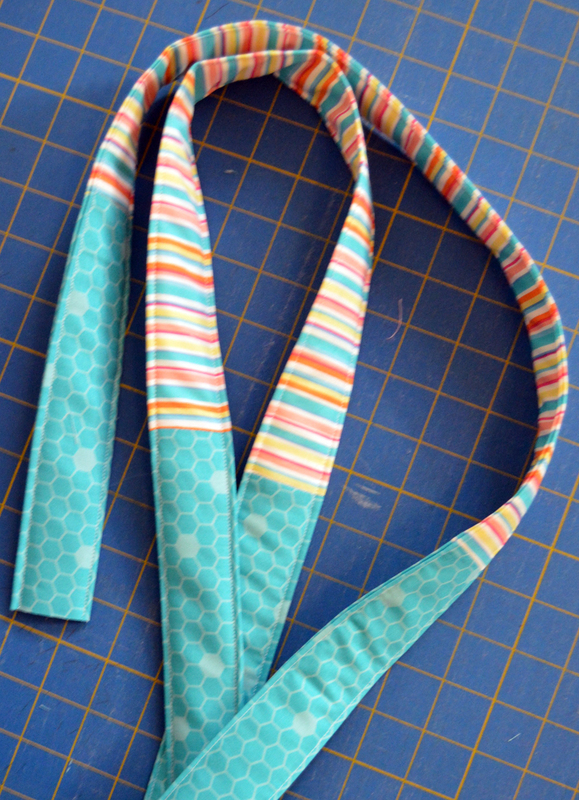 Step 12: Sew 6" x 9" turquoise honeycomb pieces to opposite ends of (1) 6" x 18" stripe piece. Fold in half lengthwise and press, and then fold each long edge in to the center fold. Position a 1-1/2" x 35" batting strip inside and refold on all press lines. 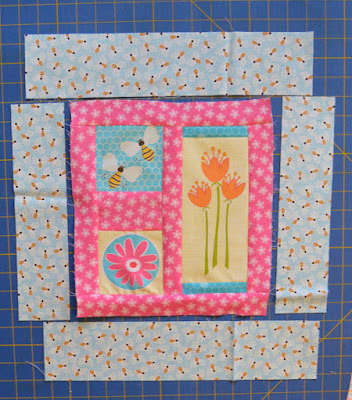 Step 13: Pin strips closed and then topstitch along both edges. 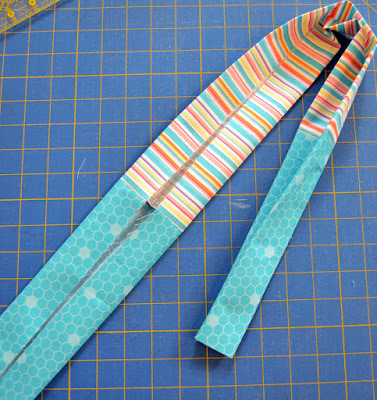 Make (2) handle strips. Step 14: Test handle length and trim as desired. 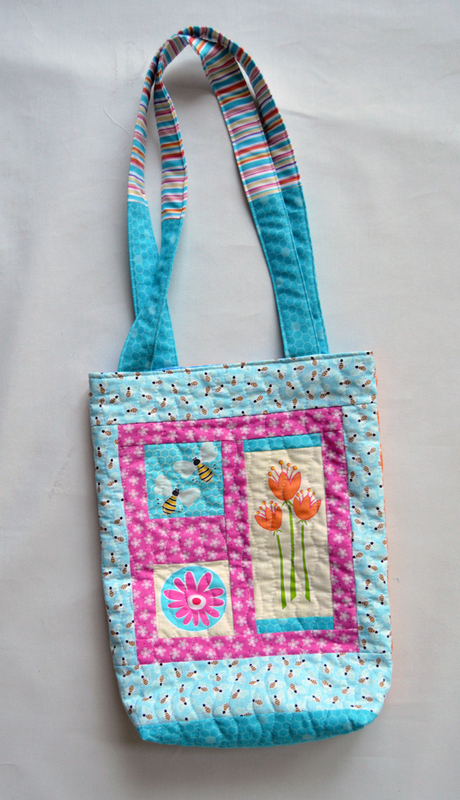 Pin both ends of a handle strip to the front side of the quilted bag, 2-1/2" in from the outer edge. Repeat on the opposite side of the bag. 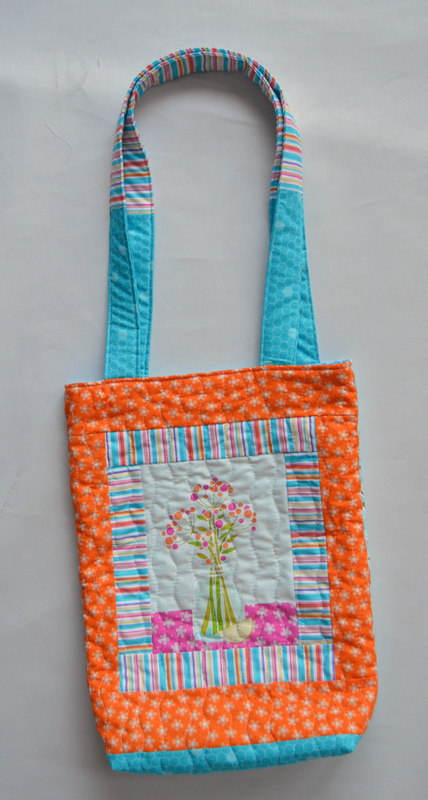 Step 15: Tuck the outer bag inside the lining bag, right sides together. 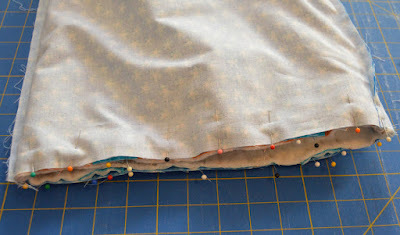 Match up the side seams and pin along the top edge. 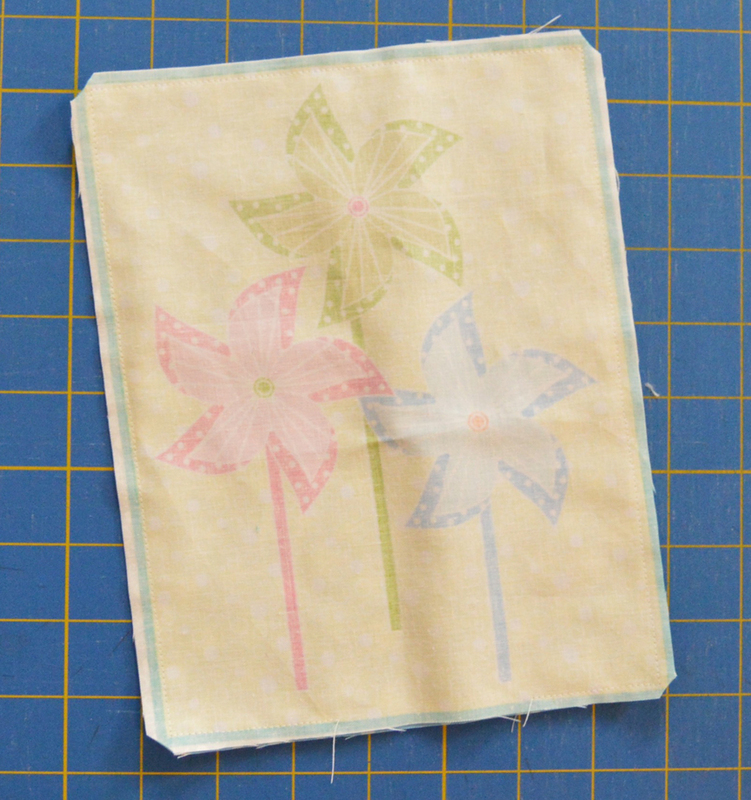 Sew along the edge using a 1/4" seam allowance. Step 16: Turn the bag right side out. Stitch the opening in the lining closed and then tuck the lining into the bag. Topstitch along the top edge of the bag. 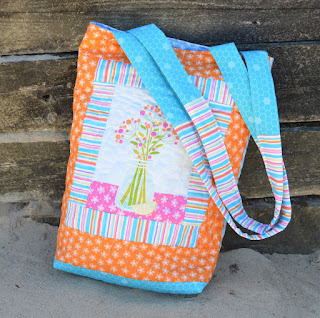 Enjoy your finished tote bag--just in time for summer! 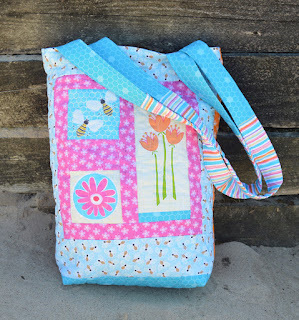 This summer tote is super cute. Very neat!! Have a wonderful day! Where can this fabric be found?